Hey, look what I’m getting back to: this spencer, which I originally started mocking up in, wait for it … fall of 2009! 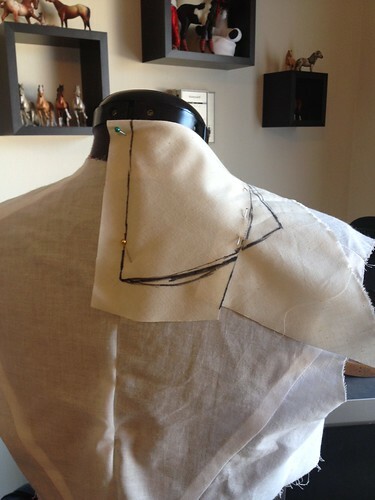 Here is my first blog post on that mock up, which I left with no sleeves and no collar. 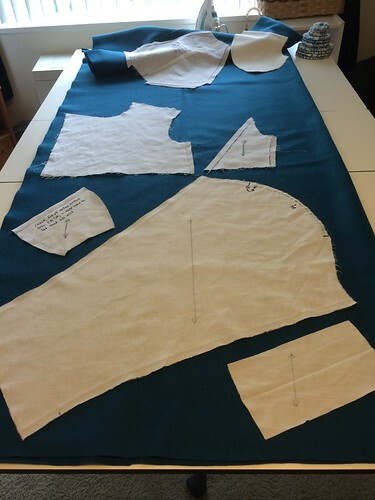 The inspiration garment is a wool spencer in the book Moden 1790-1840 (photos are here). 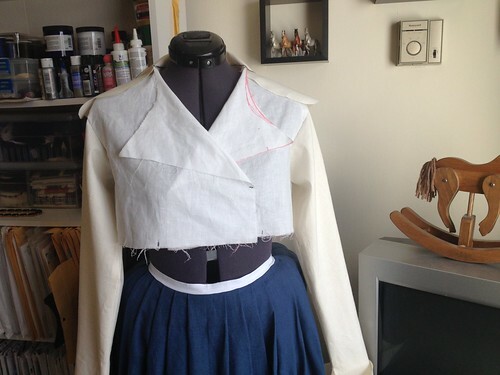 I found the mock up in my scrap bin last December, and for some reason it spoke to me enough such that I decided to finish patterning the collar and sleeves. 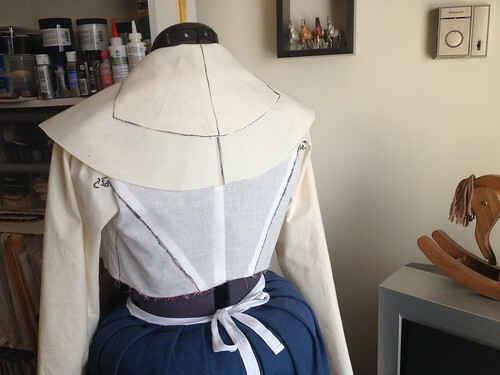 You can tell which parts of the mockup are from 2013 versus 2009 because this time around I only had off-white muslin. Here is the front of the mock up. Then I put the project down, again, because I got pulled into making other things. But now fall and winter are coming again, so it is time to get back to this. Especially since I’ve already done the hard part of making a pattern. This weekend I cut the pieces out. 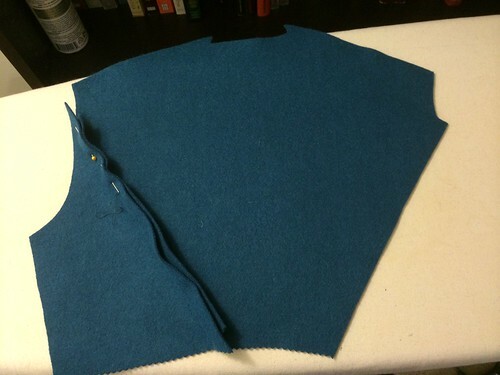 I’m using the same wool that I used for a short cloak earlier this year.